I know, it’s been awhile… and no, I haven’t fallen off the face of the Earth. I just ran a bit low on time and as a result, ran a bit low on photos. I’ve kept traveling though and have a lot of photos to share from Vietnam, Spain, France, Morocco, Greece, Hong Kong, Italy and Switzerland. I’ve got travel plans for 2017 too. I’ll be kicking off the year with a return to Marrakesh and a weekend in Berlin where I hope to add to my collection of pictures. In addition, I’ll be taking a couple of more adventurous trips through the year, though I haven’t thought about where yet. Suggestions in the comments below are welcome. I’m thinking South East Asia, South America or maybe even Egypt. I’ll be doing my best to get back to regular postings. 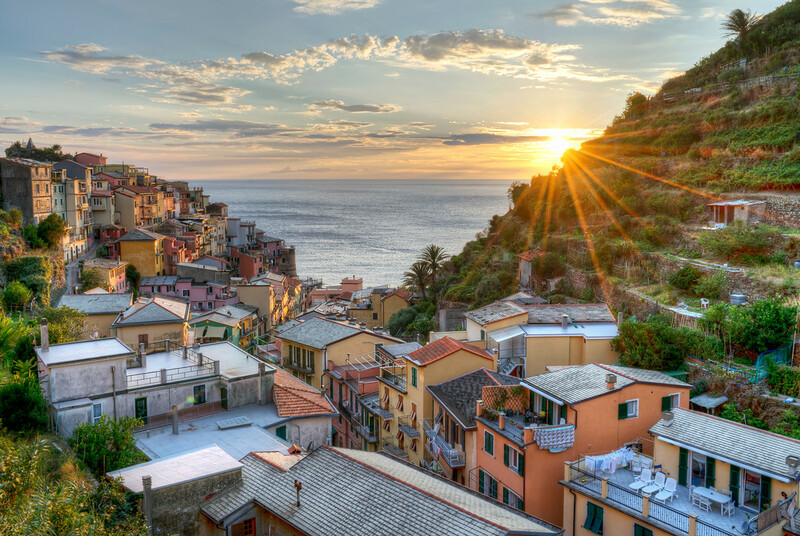 My most recent trip was to the Cinque Terre in Italy. It was my third time trying to get there. On my first attempt, the towns in the area were beset by landslides so I had to cancel my plans. On the second attempt, I was driving from Piedmont and stopped at a service station where my car was broken into and cameras, laptops and passports were stolen. My third trip wasn’t without a hiccup either. When I went to check into the airport in Bermuda for my flight to London, I realized that I’d booked the wrong date for my connecting flight and it had actually already departed! I actually got onto the London flight without a connection and had to quickly sort it out the next day. In celebration of the New Year and of finally making it to Cinque Terre, please enjoy this photo, taken from my hotel balcony in Manarola while sipping from a bottle of Prosecco. That is a fabulous picture. I saw Italy for the first time last October and this photo more than captures the sense of it.